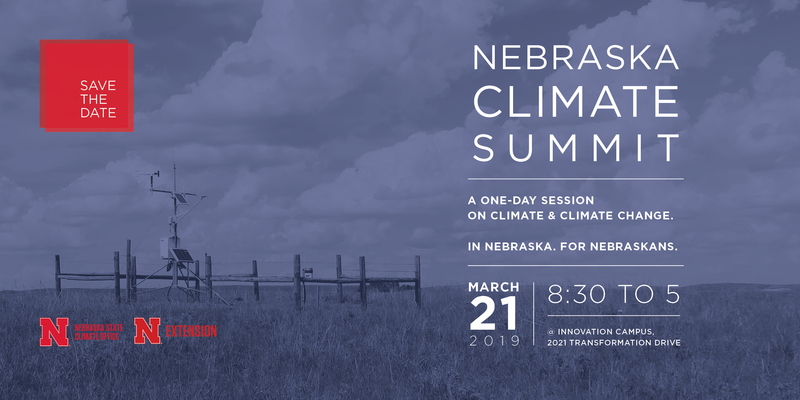 The Nebraska Climate Summit is planned for March 21 at Nebraska Innovation Campus. The event runs from 8:30 a.m. to 5 p.m., with a break from noon to 1 p.m. for lunch. To register, click here.